Chuda’s fast-acting, highly concentrated formula works two ways: Upon application, an invisible healing dome blankets the skin’s surface, creating the perfect environment for skin to properly hydrate and heal. Simultaneously, skin receives a highly active, concentrated cocktail of the ideal nutrients needed to help stimulate repair. In time, skin is restored to its healthiest state—smooth, soft, supple, hydrated and radiant. 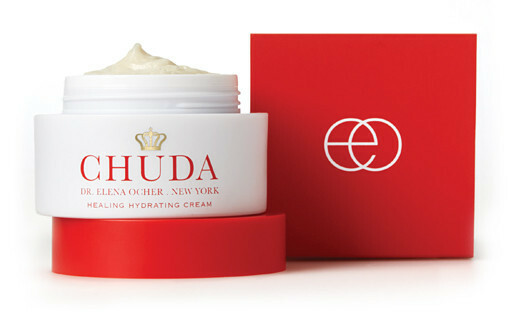 To activate Chuda™ Healing Hydrating Cream, massage a single scoop between fingers, then apply to face, neck, under eyes or anywhere skin is dry, damaged or compromised. Skin instantly feels soothed and hydrated. With continued use, skin is visibly more supple, youthful and radiant. For best results, apply morning and night. Gentle on all skin types, including highly sensitive. I spent a little too much time in the sun and burned my back. After applying Chuda, I instantly felt the difference. An hour after my first application, the redness decreased and after twelve hours, the burn was practically gone. After 24 hours, everything disappeared! I felt calm, cool and refreshed, and back to myself! I had severe skin damage on my face following a car accident. 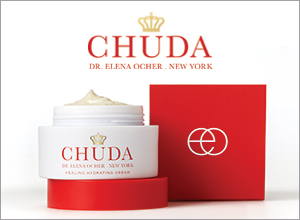 I used Chuda cream once a day for three days and saw a huge improvement. I was able to go out without feeling self-conscious. My skin looked beautiful and healed again. I had severely burned feet and lower legs with extensive skin grafting. My legs and feet were not healing properly. They were red and swollen and I was in a lot of pain. After three days of using Chuda twice a day, the pain and redness were gone and I could walk without discomfort. This is truly a “miracle” cream.